In last week’s blog post, we introduced the best (and worst) cities for expat life in 2014. Thus, it’s only fitting that we’re taking a closer look at the worldwide cost of living today. We are examining the results of the latest EIU Cost of Living Study and how helpful they are for individual expats. 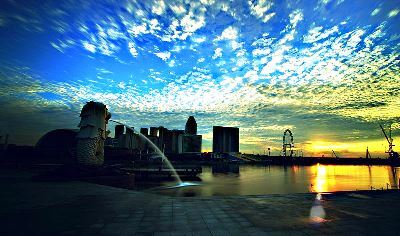 If you want to indulge in luxury, pack your belongings and move to Singapore. At least, that’s what the Economist Intelligence Unit claims. According to their latest cost of living index, the Southeast Asian city state is the priciest expat hotspot on the globe. Every year for the past three decades, the EIU has published a yearly survey, ranking up to 140 international cities in 93 countries, based on what expat executives need to pay in order to maintain their lifestyle. In Singapore, this list has caused quite a stir among the concerned public: it fits neatly into ongoing debates about rising living expenses and the resulting worries among the local population. After all, Singapore is often called “the Switzerland of Asia” for a reason. It’s hardly surprising, either, that two cities in actual Switzerland have made the list, or that Norway and Japan make an appearance: all these countries are known for forcing residents to dig deep into their pockets. In some other ways, however, the ranking seems a bit counter-intuitive. What on Earth makes the Venezuelan capital such an unaffordable place? Once you move a little further down the list, the bafflement continues: Is Frankfurt (Germany) on #11 so much more expensive than both London and NYC? Is Mumbai in India on the very last rank (#131) really the cheapest metropolis ever? If we review the survey methodology, we might clear up some of the confusion. The EIU researchers have compared about 400 prices for 160 products or services across a dozen different categories, from groceries over utilities and rental costs to leisure activities. Each price is converted into USD, and then the items are weighted according to a unified pattern. For the final ranking, the price of staple foods, for example, is of much greater importance than, say, the expenses for concert tickets. However, as just mentioned, the weighting scale for the items is indeed the same everywhere. This, in turn, assumes that spending patterns remain the same around the globe. One of the survey’s original purposes is to help companies decide upon the cost-of-living allowances for their foreign assignees. Expats on international assignments – thus the argument – should have the financial means to live in the same manner, with the same kinds of goods, as they would back home. Obviously, this reasoning doesn’t account for the different lifestyles among local residents, nor does it take into consideration that expatriates, too, often adjust their way of life to various circumstances. One of the reasons cited for Singapore’s #1 ranking are the extremely high transport costs, due to the prohibitive expenses associated with owning a car. Now it’s true that ownership of a vehicle is a downright extravagance in Singapore. But in a fairly diminutive state with a well-developed public transport network, plenty of expats will think twice about their need for speed and switch to the MRT railway system instead. What is more, the fact that all prices are converted to US dollars and compared to New York City as a base poses another fundamental problem. For instance, the Venezuelan bolívar is officially pegged to US currency: 1 US dollar is worth 6.3 VEB. Emphasis on “officially”. As the country has been suffering from high inflation for years, the reality looks rather different. On the black market, you’ll get far more favorable exchange rates for your dollar, which means that Caracas should be a lot further down the list. Of course, Venezuela – a country plagued by currency depreciation and violent unrest – is an extreme example. Still, the conversion to US dollars means that fluctuating exchange rates can cause changes in rank just as much as actual price increases or reductions do. If you’re worried about your actual expenses after an impending move, rankings such as the EIU one aren’t actually false, but they can be misleading. Above all, they don’t replace the need some for in-depth research according to your personal situation! Yes i feel increasing cost of living in Singapore is serious concern which is most favored place in Asia for Business and Tourism. In DileshKhadake.com which is my Blog, i have done comparative study on Cost of Living in Singapore which will be beneficial to Students/Expats coming to Singapore for job and Study purpose. Thanks for the comment, Dilesh! The study on your blog will surely be of interest to potential expats who need to stick to a tight budget!